"... Will this make me fail a drug test for work?" Depends on what your work screens for drugs? I can't imagine a pre-workout supplement drink would make you fail any drug. If it does, then you need to find a new workplace. "... should you drink it on an empty stomach"
Yes, that is ideal. At most, with a protein shake. "... how long can you use this product 8 weeks and take two weeks off"
With any pre-workout, stimulant based supplement you have to cycle it. I would go for about 6-8 weeks, depending how much you're still getting out of it. Then take at least half or more time off that you were on to PROPERLY let your receptors recover. Otherwise you're burning out your system. So 6-8 weeks on, 4-6 weeks off. "... Can I fail a drug test while using Pump-HD?" No, not that I can see going over the ingredient list. It's a pre-workout stimulant 100% legal. 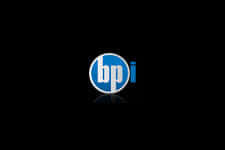 Contact the brand to be sure. "... i just got myself the stack and the pre-workout what's the best order to take them? I know that a pre-workout should be on a empty stomach but the solid and "
The best way really is to follow the directions on each box, do not try to figure out different ways or stacks as that defeats the purpose. Each product is designed to work in a specific way so follow that, give 100% effort with you training and nutrition and you'll have the results you want. "... This is a great pre-work out. First time I used it I got a huge rush of energy. I've seen a lot of mixed reviews on other sites but when it comes to supplements It depends on the user. This pre-work out works for me and I've been taking it for a over a month now. I do a lot of high intensity circuit TNG with free weights and this helps me keep the focuse and intensity I need to work out. " "... Really impressed with this and will continue to use it as my pre-workout drink. I originally went off about half a dozen sample packs that I managed to grab and really fond it gave me great pumps, great energy and endurance. I can compare it to Craze or even the new Scream product but better in a way. I was a bit unsure about it when I ordered as I know they usually jack up the sample packs (all brands do) but when I got the container it works just as well. Good flavor as well, I have used both the orange and blue lemon - but I do prefer the lemon. 5/5"
"... What about the fillers, especially the silica which is sand/broken up rock? What benefit does that provide?" There is no sand or broken up rock in this product. I just checked with the company to make sure. The benefits that pump-hd provides is better blood flow for pumps and nutrient delivery to the muscle along with focus and endurance for your workouts. "... I LOVE THIS!! First product from this brand but I will be adding more. I read about it since Jay Cutler joined them and started doing some research. I have experience with pre-workout powders and prior to this my personal favorites were C4 and CRAZE but I really do stand by this one to be superior in every way. Best tasting of any pre-workout as well." "... Training for 15 years and have used many supplements that have come and gone over that time, especially pre-workout types. I've used this product twice now but thought I'd give a quick review for others taking a look at it. I have the orange twist flavor and like it, but I really do like most of the BPi products flavoring. I used the suggested one scoop about 15 minutes before my training and felt it kick in in that time frame. A good clean boost of energy and focus, similar to C4 or CRAZE but without the tinglies or jitters - which I am happy about. Was able to train a bit harder, but hey it could have been placebo - either way I trained longer than usual without burning out. In terms of the vascularity or pumps, they really were great. I have trained legs and arms on these two days and both swelled up during training and stayed that way a few hours afterwards. I am so far impressed and am curious what else it holds by the time I get to the end of the container." One of the Most Anticipated Pre-Workout Supplements from this Ground-Breaking Brand! 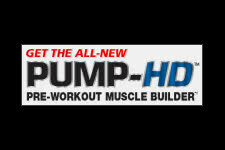 BPi Sports have announced their latest addition to their stellar line-up, Pump HD! Without question this is an exciting new release to the pre-workout, nitric oxide based category. With products such as 1MR that have set the world standard for training fuel, there is no question this will follow in the footstep. For anyone that is serious with their lifting and training, maximizing your pumps is the common sense step to maximize growth. Increase blood circulation specifically to the muscles at work is essential to transport vital components that are actually responsible for that growth and recovery process. Ingredients such as amino acids, creatines and glutamine are some of these factors that truly play the major role in your progress. 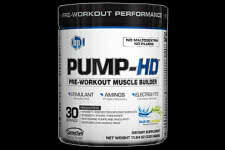 Give Pump HD a chance and don't take any chances of not maximizing your anabolic potential!